Building a formidable reputation for its sporting achievements since it was founded in 1964, the Sainik School Goalpara (SSG) became the latest institution to receive valuable support from AIBA’s grassroots programme HeadsUp on Saturday afternoon. 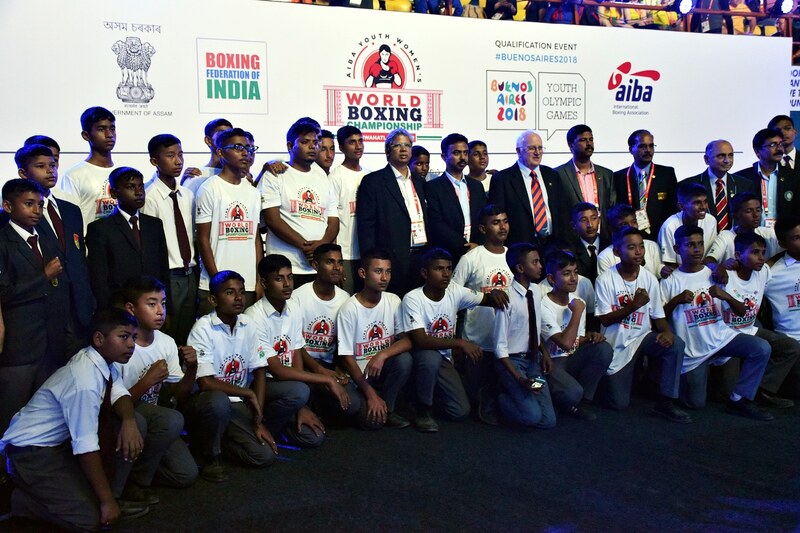 Dozens of teenage boxers from the army school were invited to join the crowds for the semi-final stages of the 2017 AIBA Youth Women’s World Championships, where they also received a donation of equipment from AIBA partner Wesing. “Institutions such as the SSG are the breeding ground for the next generations of great Indian athletes, and it is wonderful to be able to bring these students here to Guwahati to experience top-class international competition and get a sense of what it means to represent your country. 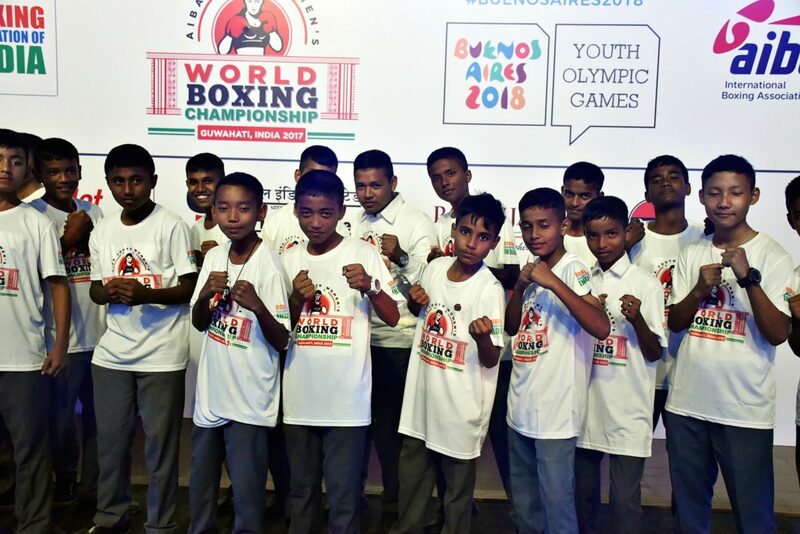 The donations will enable them to train with the high-performance equipment, but just as important is the inspiration that they will take from seeing these boxers compete in a packed arena and the inevitable desire to go on and emulate them,” said AIBA Vice President Mr Tanner. 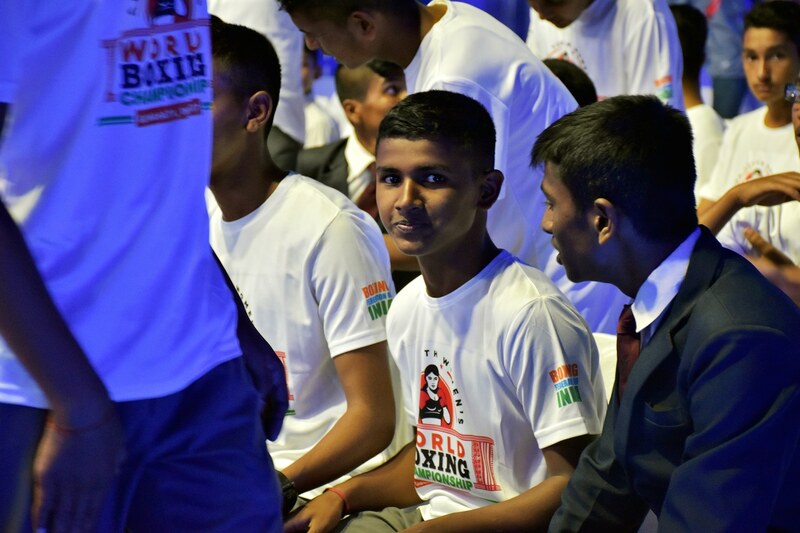 The post HeadsUp invites teenage boxing prospects from Sainik School Goalpara to sample Semi-Final atmosphere of 2017 Youth Women’s World Championships appeared first on AIBA.